HoneyColony proudly introduces Hydra+ Molecular Hydrogen! Molecular hydrogen (H2) is one of the most talked about antioxidant supplements in the world, due to its all-around natural healing abilities. Hydra+ is a groundbreaking tablet that makes it easy to obtain a high concentration of H2 infused water (or other non-carbonated beverage) with OPEN-GLASS convenience (WARNING: If placing Hydra+ tablets in a glass bottle, do not place a top on the bottle until the Hydra+ tablet has completely dissolved in the liquid solution.). There are now over 500 medical studies available on the health benefits of molecular hydrogen, with researchers linking it to benefits such as fighting more than five dozen diseases, primarily by reducing oxidative stress, one of the major causes of most lifestyle-related illnesses, cancers, and the aging process. Hydrogen is the smallest and lightest of all elements. When two hydrogen atoms combine, H2 (molecular hydrogen) is formed. Being the first element in the periodic table and the most abundant element in the universe, H2 has better cellular bio-availability than most other nutrients. The ability to rapidly enter organs, cells, mitochondria, and fluids allows H2 to provide its numerous health benefits instantly.All life is dependent on hydrogen; it is the base for all matter in the universe. Thus, adding an extra boost of pure hydrogen greatly improves our health. Hydrogen is already present in our gut. Certain bacteria produce hydrogen from non-digestible fiber. In fact, this is why diets rich in fiber support anti-inflammation, cardiovascular health, diabetes, various cancers, and numerous other health benefits. 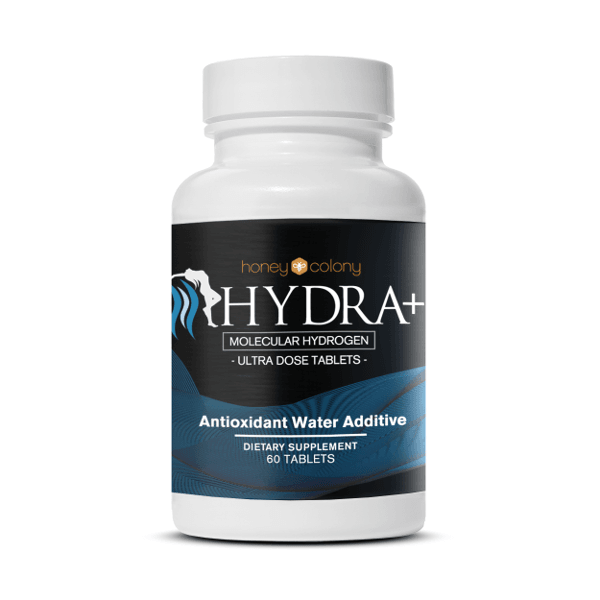 Hydra+ supplies additional energy to the body, through generating electrons in the liquid it is dissolved in. Electron-rich properties are exclusively found in fresh, raw living foods and juices, mother’s milk and many of the world’s healing waters. Love how this products make me feel. Never tired, clear thinking and oxygenated. I was very skeptical of the entire Hydrogen fad. I’ve been in natural health for over 10 years now and have seen trends come and go. I’m also skeptical of the science and the ability to keep the hydrogen molecules in the water long enough to be ingested. But I followed the instructions to use a glass bottle filled to the top with filtered water and put in one tablet and then drink when the tablet is done bubbling. It takes about 30 seconds for the tablet to dissolve and the resulting water is quite bubbly. The water does have a slightly metallic taste, but it is not unpleasant. Most surprising of all, it seems to work and fast! Within 10 minutes of drinking the treated water, I feel alert and energetic and the energy lasts for 4-6 hours afterwards. The bonus; there is no crash like a sugar rush and no jittery feeling like with caffeine. Well worth the money. It kept my blood cells from clumping (clumping significantly decreases the efficiency of the cellular exchange of nutrients and cellular waste). I actually had a microscopic test for this. This exchange in all cells is vital to life, because if the nutrients that you put into your body are not properly absorbed into the cells, those nutrients are worthless, as they are passed through your system unused! If the cellular waste is not expelled quickly, then the absorption of more nutrients in the cell is slowed or blocked as long as it still contains used nutrient matter (waste). A huge benefit to me was the extreme boost to my immune system. One of the more significant examples is that for many years before I started taking this product, I would have at least 2 extremely bad colds each year that would linger for at least 2-3 months. After I started taking this product on a daily basis, now I have NO colds! That alone impressed the hell out of me! Working as a telemarketer, frustration is a part of my everyday life. Thus, detoxification is very much necessary for me to keep going all day long, for which I depend on this medicine. Before taking this medicine, I used to arrive late in the office. But, all of that is passé now. I have always wanted an anti-oxidant supplement that is all rounded in fighting diseases and reducing oxidative stress in my body. 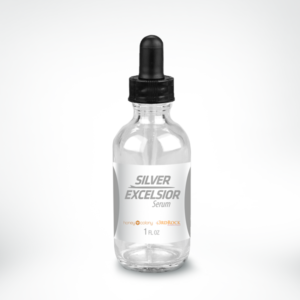 When I read about Hydra Molecular Hydrogen and its therapeutic effects including its ability to provide the body essential elements, I was strongly convinced that this is the product I should be using. I later purchased Hydra Molecular Hydrogen from HoneyColony so as to get rid of my allergic symptoms that kept on recurring. 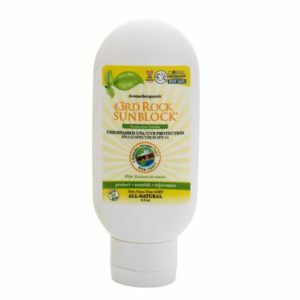 This product helped hydrate my body as well as giving me an immense energy to get me going. 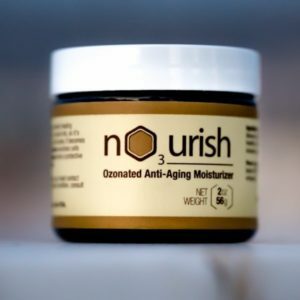 As I continue using this product I feel that it is the perfect solution to living a healthy lifestyle free of illness, stress and aging process. Hydra Molecular Hydrogen is the best. I have seen the positive effects of molecular hydrogen for two months and I’m very happy to find this product on the market! When I started using this product I noticed a great change in my whole body, this product is great, I so recommend it! I am usually sceptical about new antioxidant supplements,however,after taking Hydra Molecular Hydrogen,I am totally convinced.After consuming this product for few weeks,I no longer felt lethargic and able to focus better during my working hours.Thanks,HoneyColony! I have tested other antioxidant products and none of it comes close to Hydra Molecular Hydrogen from HoneyColony.I am sore and tired normally after each workout session,however,I feel great after taking these.I would recommend people to take this to rehydrate after working out. 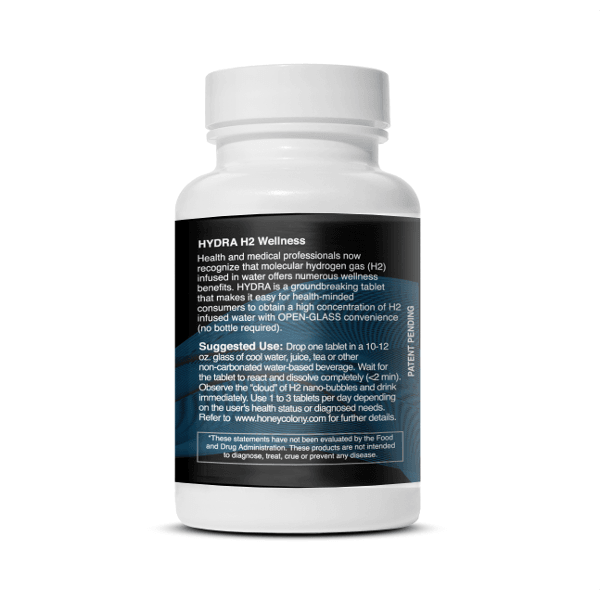 I am very impressed when I discovered all those benefits that Hydra Molecular Hydrogen is supposed to provide.It offers a new approach to detoxification and claims to be all-natural.I have been taking this for 3 weeks now and this product definitely boosts my energy.I would gladly recommend this product. 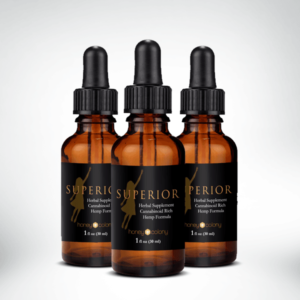 This is the one powerful antioxidant supplement that I wouldn’t leave home without. My health, in general, has also considerably improved as it promotes essential full-body hydration for a healthy lifestyle, you will find it increases your energy immensely. In case you are wondering like I was, this product is a replacement for Hydrogen Boost. Great product from HoneyColony. Hydra Molecular Hydrogen is the wave of the future. I’ve been reading about the positive effects of molecular hydrogen for months and I was so happy to find this product on the market! The big question for me is how can I get something into my body that would help to support and bolster my immune system while also fighting inflammation. Honey Colony’s hydrogen helps clean and clear the body of the ever-present danger of free radicals. Some of the biggest improvements I’ve seen (so far) are feeling more hydrated, my skin appears to be less dull and dry. Overall, I feel much better and much more alert. This is significant, considering it usually takes at least a month or two before I see any progress with regular vitamins. I was strongly attracted to Honey Colony’s Molecular Hydrogen because I wanted a product that could be quickly absorbed into and accessed by the areas in the body that needed it the most. I’m excited to see how my system continues to improve as I continue to use this product! I highly recommend Honey Colony’s hydrogen for immune support. Many of us don’t remember what it feels like to feel good and this product can help us get back onto the road to optimal health. What is all that residue at the bottom of my water bottle? Magnesium mineral residue will be observed on the bottom of the bottle after several Hydra tablets are reacted. This residue can easily be removed by simply pouring in a small amount of white vinegar, sealing the top, and agitating it until the residue dissolves. Rinse the bottle with clean water. What is the difference between Molecular Hydrogen and Hydrogen Peroxide? Molecular Hydrogen (H2) is a master antioxidant and works through a process referred to as “reduction.” When someone drinks H21 infused water it is delivered throughout the body and the H2 neutralizes the most common and damaging free-radical, the Hydroxyl Radical (OH). Hydrogen Peroxide (H2O2) is a master oxident and works through a process referred to as “oxidation.” So when someone consumes a solution of H2O2 or has it injected into their blood, it oxidizes microbes (bacteria and virus) and oxygenates the blood and tissues. H2 and H2O2 are the opposite of each other but both offer physiological benefits.